Sawmills cut timber into all different kinds of lumber. Despite the recent trend of consolidation in the sawmill sector, the industry is still dispersed with many small operators scattered across the United States. Cost minimization is key to obtaining a competitive advantage in this industry. Despite the advent of laser-guided technology and other technology-oriented waste-minimization programs, hydraulics are considered a black box for most organizations. In addition to the lack of clarity surrounding hydraulics, hydraulic pumps and cylinders can be an Achilles heel for many sawmills. If your sawmill wants to make sure it can rely on its hydraulic pumps and cylinders, reach out to the hydraulic experts at Perf/Hyd. The expert technicians in our Cylinder Division can examine your hydraulic cylinders, determine the underlying problems that cause your hydraulic products to fail, and create a longer-lasting product that will exceed your quality standards. Our pump division can repair, rebuild, and manufacture hydraulic pumps. When we realized that the quality of some of the overseas suppliers did not meet our rigorous standards, we began manufacturing many of the key components of our hydraulic pumps in-house. 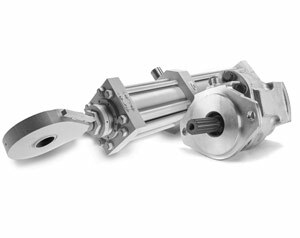 We stand by the quality of our pumps with an industry-leading warranty for all of the pumps we manufacture in-house. We are a distributor for many of the main brands for major brand lines as well.